Xiaomi released its most awaited flagship Smartphone Mi 5, which is directly competing with well known brand’s top tier phones like Samsung Galaxy S7, LG G5, and Sony Xperia Z5. Xiaomi manage to sell Smartphone with same specs as Samsung, Sony, HTC flagship phones but in less than half price. Mi 5 has very compact features like Snapdragon 820 quad core 2.15 GHz processor, 5.15 inches IPS display, 16 & 4 MP camera, 4 GB RAM, 128 GB ROM with no External SD card support and 3000 mAh battery. Here we will have Short review, Pros and Cons of Xiaomi Mi 5. This time Mi 5 showing great example of art blended with technology including 3D glass / ceramic body technology where it has three-dimensional shaping of the metal frame. Below the display there is physical home button and fingerprint scanner works after waking phone by pressing the button. The left side of the phone has a dual SIM tray; bottom has a single speaker (which is quite loud and smooth without distortion), USB Type C as well as microphone and on the right there are the volume and power buttons. For the better sunlight visibility Xiaomi added additional LED strips, 5.15 inches display featuring 1080p (Full HD) display resolutions and 428ppi display density. For such a display size Full HD resolution is enough. The pixel density is quite decent that makes un-noticeable dots. We have already mentioned about better sunlight visibility of the display as company included additional LED strips for the display. There are rare chances of accidental scratches to the screen as it is protected with Corning Gorilla Glass 4. The thing Xiaomi has researched and developed is ultra fast snapping of photos from a phone camera; yeah definitely this Smartphone has 16 MP fast focusing and capturing camera with 4-axis optical image stabilization which helps in taking moving photographs without looking grainy or blurred. 4 MP front camera doing great job for the outdoor photos while struggling in low light situation. This is also good to see that Xiaomi lunching its flagship phone with current most powerful android CPU. The Snapdragon 820 has 2.15 GHz clock speed which has capacity to run 4K videos smoother. The strong processor showing results in fast camera, heavy apps runs without lingering. The gaming experience is bold in the app, Snapdragon official site claim that it has about 30% lesser heating than previous version (14nm process, results in lower power consumption). Frame delivery by the GPU taking gaming experience to another level. 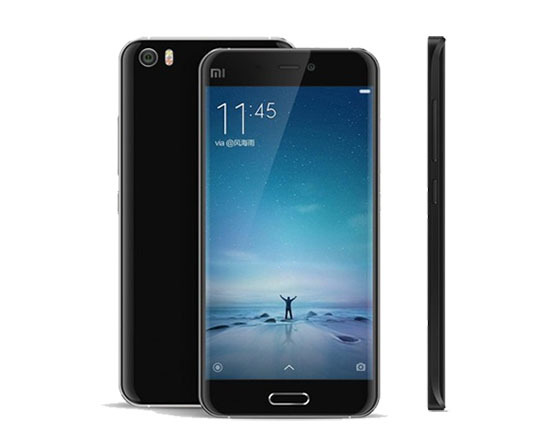 There are lots of things in Mi 4 that really impress me, the way phone is crafted making it classy, in hardware department Xiaomi added all the features that are currently on demand, A fast shooting camera, Smooth processor with 4GB RAM, a balanced battery and its price segment everything is under the demand of a customer.